One of the big mistakes that I have repeated throughout my life is letting others decide my course in life, long after it becomes apparent they have little interest in my success. Similarly, one of the hardest tasks for you could be knowing when enough is enough and a decision must be made. This simple statement I took at face value. Why? Because it started with flattery. Obviously, I was a top student. I distinctly remember a little alarm going off inside my head that I willfully chose to ignore. He doesn’t really know me. I doubt he even knows my academic standing. And besides there was nothing in my Academy flight training that would make me stand out as superior. I was soon to lean the difference between healthy confidence and self delusion. In retrospect, I can see that they were short of instructors for some reason and this fellow had to figure out how to deal with it. I may have even been a ways down the list. But the other students who were asked were savvy enough to call BS! Pathetically, I was eager to please someone who was willing to flatter me. As we proceeded through the classes, my instructor seemed to know what he was doing. But how would I know if he knew what he was doing? I was soon to find out when I flunked my first flying test and had to repeat curriculum and retake the test which I flunked again. Orders were soon to come rejecting me from pilot training. At this point I finally woke up and realized that if I didn’t finally take control, I would not be a USAF pilot. I filed an appeal with the Commander. And I asked a colonel friend of mine to put in a good word for me with him. Again in retrospect, all of this was certainly helpful, but not necessarily decisive. My friend advised the Commander that I was a good guy, but quiet. He should listen to the words, but not expect any outbursts of passion. I believe what was decisive was that the Commander found himself with the same failing results from all 3 of the instructor’s students. And here was a student standing in front of him who did not want to be a victim of this bad situation. He gave me another chance. I proceeded, with a great deal of effort, to complete pilot training. But I now had a “real” instructor. So that helped a great deal. Again, in retrospect, it seems a key skill is to know how to “speak truth to authority” in a polite and firm manner. Don’t be intimidated by rank or experience. Having attained some fairly lofty levels of authority myself, I know how often I benefited from frank inputs from my team and how often I got into trouble when I ignored them. I was not, and still am not, a very aggressive person. But I hope over the years I have at least learned to recognize when to look out for #1. At least more often. Or recognize it earlier. Or not be bullied. Or something. As it turned out, I could have easily gotten an F-4 fighter aircraft right out of pilot training and carried the very cool title of “fighter pilot”. If I had been tagged as a fighter asset. Each student was evaluated for the “right stuff”. I was tagged as a perfect candidate for a non-fighter pilot job. Again, in retrospect, I don’t believe that it was so much that I had poor scores at the start of pilot training. It was my basic personality that was more cautious than aggressive. Does that ever really change? 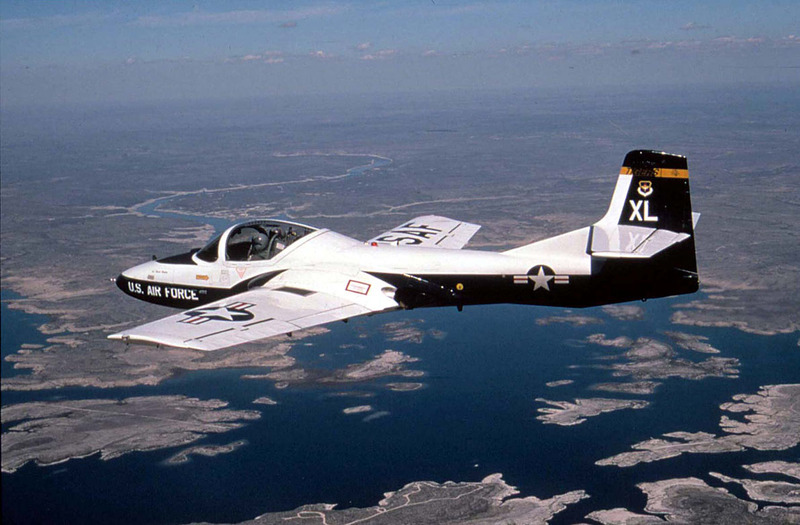 On the other hand, part of my tanker job involved flying the little supersonic T-38 which I did well enough. And the mission I was assigned of supporting the SR-71 worldwide for Joint Chiefs of Staff directed missions was the only real operational mission going on at the time. And it had a lot of “secret squirrel” stuff associated with it like special radios and special procedures. So I actually quite enjoyed my time as a USAF pilot. I think it all worked out for the best. Second Lieutenant Charles Thomas Vono had just completed his interview with Colonel __, the Commander of Flight Training. He hoped he had made a convincing argument to remain in pilot training, but at this point, it was no longer in his hands. At this point, he could only exit with dignity. He saluted sharply and did an about-face. There, ahead of him, were two identical doors! Which one had he entered? He had better not hesitate now! He decisively chose one, and opened the door to the Commander’s closet. He closed it quickly and exited through the other door.